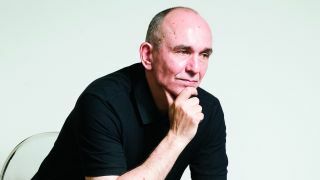 When Peter Molyneux speaks, people tend to listen. But like any rockstar icon the man behind Populous and Black & White is no stranger to dividing opinion. Just take his recent comments on the Xbox One. After leaving Lionhead Studios and Microsoft last year, Molyneux moved over to join former Lionhead CTO Tim Rance at 22Cans - a far cry from the world of Fable - where he's now focusing on projects smaller but arguably more ambitious. "Being an indie gamer means you can be completely experimental," he tells TechRadar. "You can take risks that are very very hard to take when you're a big studio of hundreds of people and it's costing thousands of pounds a minute to run a studio." Take Curiosity - What's Inside the Cube? A social experiment more than a game, the app invited participants to tap away at a giant cube over months until one lucky person hit the middle. That individual was given the opportunity to play the role of God in the studio's upcoming game Godus. Godus is a Populus for a new decade and set to launch on PC, Mac and mobile with a Steam beta release on September 13. The civilisation creation simulator will, Molyneux believes, reinvent the God genre that he himself created all those years ago. And he reckons that mobile is the place for this to happen. "The indies are the ones that are really going to expand with mobile," he says. "At the moment the larger publishers have a toe in the mobile space and the smartphone space, but they're not fully embracing it. They're not saying to themselves 'our future is going to be mobiles'. "'Or shall I throw that idea of a potential huge pile of money coming from retail away and embrace mobile?' And unless you embrace something, unless you immerse yourself in something, it's very hard to innovate and find the love in something which instills those new experiences." Embrace it fully. Got it. But as Molyneux adds, "If you're approaching mobile and saying 'I've done this game on consoles, I'll do that game again on touch', that generally speaking won't work." Godus may hope to reinvent the God game genre but perhaps we're all still waiting on something much bigger. "There is inevitably going to be some game that touches the whole world," says Molyneux, though of course he isn't so bold as to claim that Godus will be the one to do this despite his habit of over-hyping. "We're talking about a game that becomes a fad for tens of millions if not hundreds of millions of people. It's the equivalent of a gaming Twitter of a gaming Facebook. That is definitely going to happen and it's going to happen on mobile. "I think the iteration speed of mobile is changing so fast that us in the gaming industry are having to sprint to keep up, and it's going to continue to evolve and that evolution means inevitably that gaming is going to be with us all the time." We're not far away from this big event, according to Molyneux, who thinks we'll see this happen within the next decade. The likes of Farmville have changed the way we perceive gaming and this will be key to the next big thing.